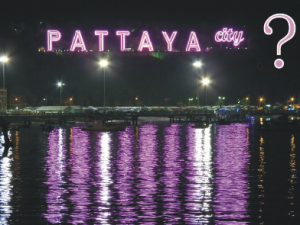 Are foreign men wasting their time in Pattaya? The answer to this question really depends on who you are, what your personal circumstances are and what your goals are too. For example, a reasonably wealthy retired male ex-pat can apply for a retirement visa here in Thailand from the age of 50, as long as he can prove he has the means to support himself. (Retirement visas are renewable every year with 90 day reports to the local immigration office.) He will need to show evidence of substantial savings or an income of 65,000 Baht or more per month from a foreign bank account. Ex-pat pass-times include golf, sailing, drinking at beer bars and A-Go-Go’s and chasing young ladies! Is this kind of guy wasting his time in Pattaya? He would say definitely not! The cost of living here is cheaper than the UK by far and with rental costs for a condo starting at around £120.00 per month for a studio apartment with a communal swimming pool. The weather is either hot, very hot or hot and wet and the lifestyle is much more relaxed than the UK with more often than not a beautiful Pattaya bay sunset to end each day. The icing on the cake is that if you’re over 50 here you can still have a 20 something girlfriend and no-one bats an eyelid! Try that back home! If you set up your own business it is possible to make good money here in Pattaya, but it is not easy and if your business depends on European tourism you would have had to tighten your belt this year. The younger guys in Pattaya come here for similar reasons to the older guys. There is also a very vibrant night life with clubs partying the night away, every day of the week! It is quite an experience living and working in Pattaya, but it is important to follow the rules when at times it seems there are no rules! Some younger visitors and foreign residents forget they are in another land where strict rules are applied at times, particularly when it comes to controlled substances. So be careful, wear a crash helmet when riding a bike, don’t ride drunk, be polite and above all don’t get involved with anything illegal. So is the younger guy wasting his time in Pattaya? The answer is yes if you expect to earn great money working for someone else who pays you 30,000 Baht a month or less and the answer is no if you and your Thai partners run a successful company that is not adversely affected by changes in tourist numbers. Other guys aren’t too worried about money as long as they have enough to get by. One thing to note here is that if you are sick or have an accident you need to be insured or you will face expensive hospital bills, especially if you go to an international hospital for treatment. Other than that, guys really come to Pattaya to enjoy the kind of lifestyle not available back home. Enjoy the ride!